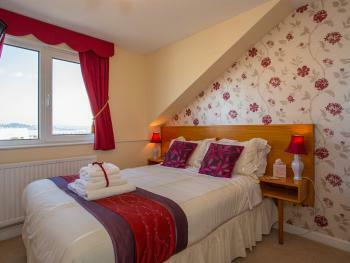 A large double ground floor seaview room tastefully decorated and fully equipped. 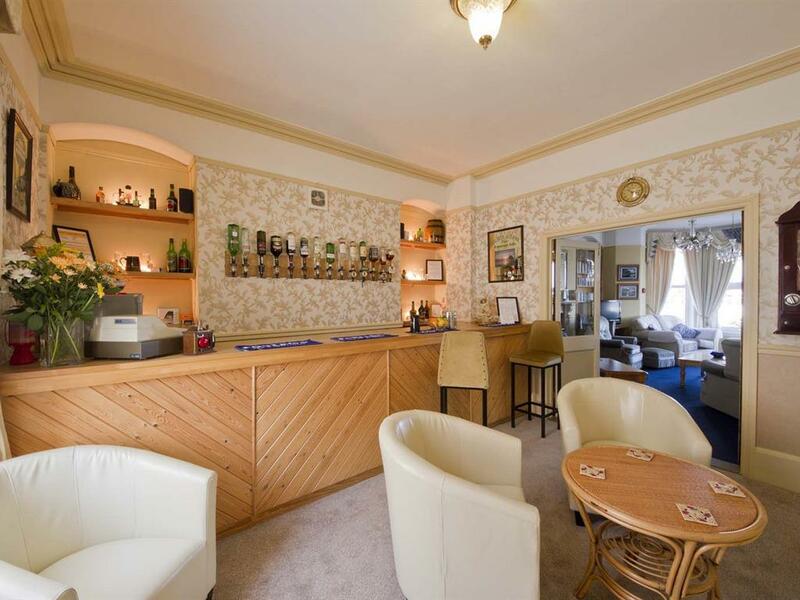 2 tub chairs,coffee table, tv/dvd, luggage rack, radio alarm, hairdryer,well stocked hospitality tray, cotton wool balls, buds and pads plus a few little extras to enhance your stay. The room measures 15 ft x 20 ft. The shower ensuite although not large is finished to a high standard and has a heated towel rail, mirror with lights, first aid kit, large soft white towels are provided along with out new luxury range of quality toiletries Duck Island. Please note that children are not allowed in this room. This smaller double ensuites is on the ground floor down 3 steps and overlooks our garden and colourful patio. The room has recently just been redecorated and new curtains and pelmet fitted. 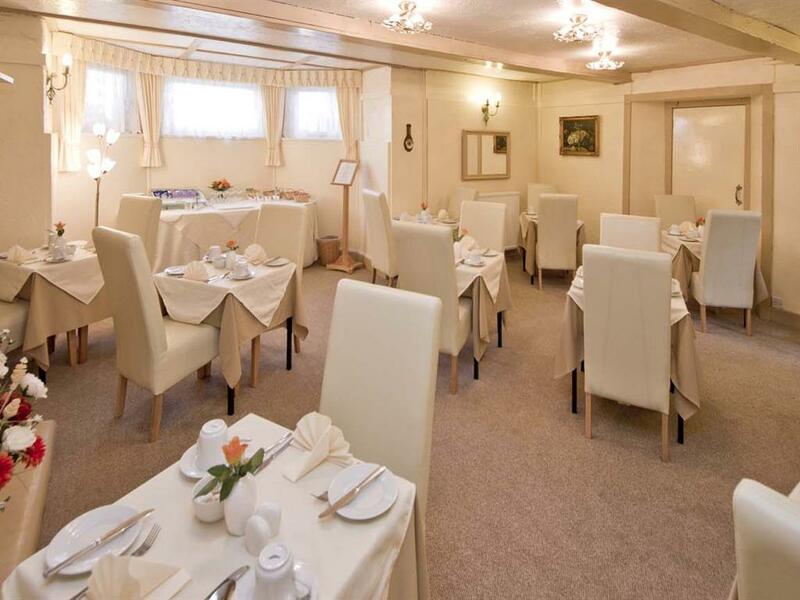 It has a comfortable double bed, chair, stool, tv /dvd/cd flatscreen, hairdryer, radio alarm, luggage rack and well stocked hospitality tray, tissues, cotton wool, buds, pads plus little extras tp enhance your stay. (Room size 7ft x 12ft) The ensuite is small but finished to a high standard and tiled from floor to ceiling and is well equipped with large soft white towels, luxury Duck Island toiletries and first aid kit. (size 5ft x 6ft with shower in recess off these sizes) Children not allowed in this room. This smaller double ensuite has been tastefully re-decorated and new curtains and pelmet fitted. 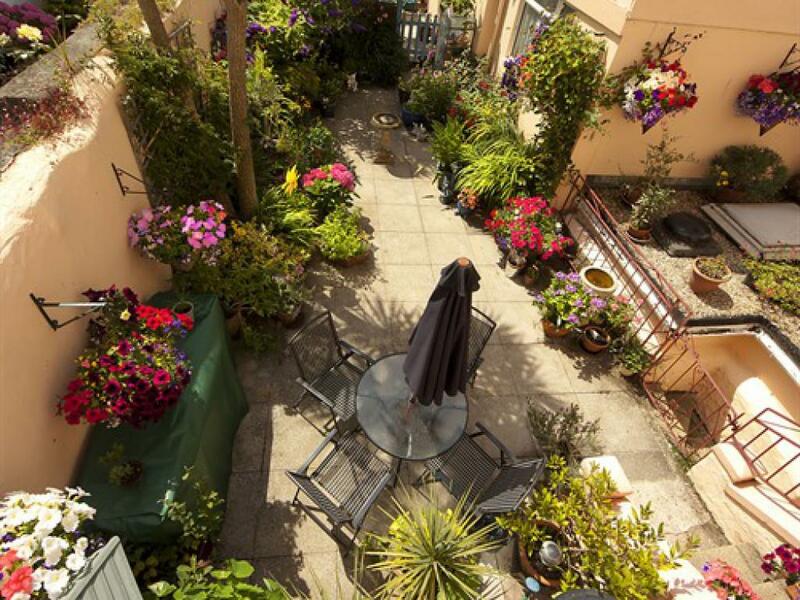 It has a sunny aspect and overlooks our garden and colourful patio. 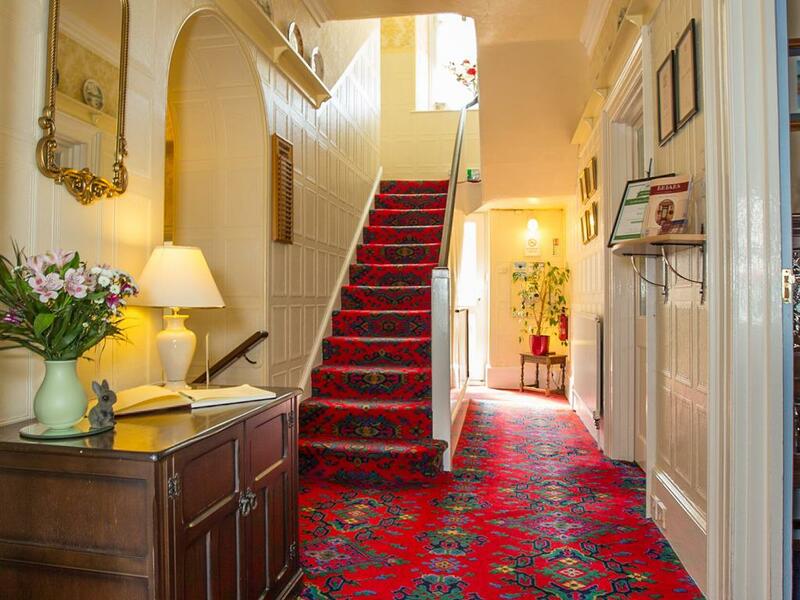 The room is located on the 1st half landing and ideal for the elderly guests who prefer not to climb too many stairs. 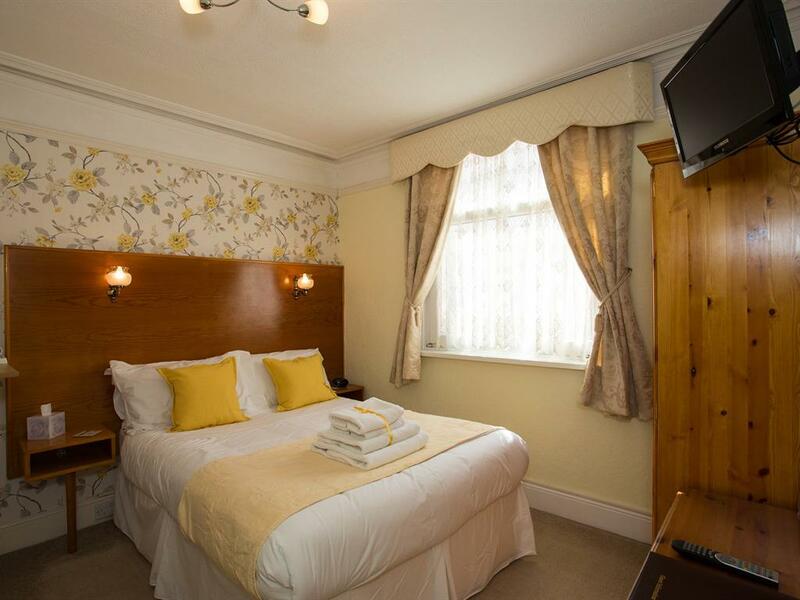 The room is well equipped with a comfortable double bed, chair, flatscreen tv /dvd/cd, hairdryer, radio alarm, luggage rack,well stocked hospitality tray, tissues, cotton wool, buds, pads plus a few little extras to enhance your stay. (Room size 8ft x 10ft) The shower ensuite is tiled from floor to ceiling and is finished to a high standard and is equipped with heated towel rail, large soft white towels, first aid kit and luxury Duck Island toiletries. (Size 6ft x 4ft) Children not allowed in this room. The Twin room has 2 single beds and it has recently been tastefully redecorated and finished with new carpet and furnishings. 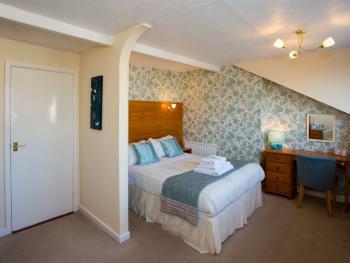 The en-suite has been recently refurbished and finished to a high standard with tiles from floor to ceiling. The room is equipped with a comfortable settee, tv/dvd/cd combi freeview tv, hairdryer, radio alarm, luggage rack and hospitality tray. 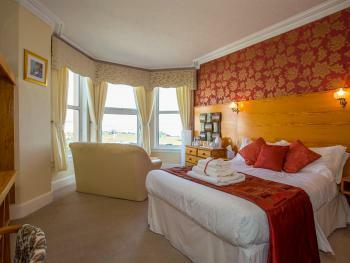 Luxury toiletries, tissues, cotton wool, pads, buds and soft white towels are supplied for guest use. All our superior double ensuite rooms have spectacular sea views from their bay windows. 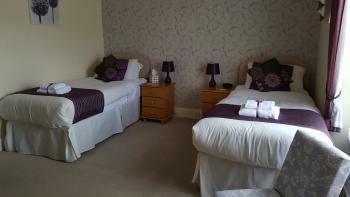 We have two rooms on the first floor and one ground floor room all of which have new ensuites with one on the first floor having a bath with shower over. 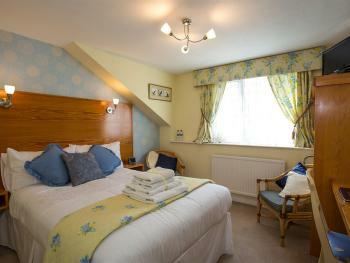 The rooms are all tastefully decorated and have a comfortable double bed, tub chairs and coffee table. 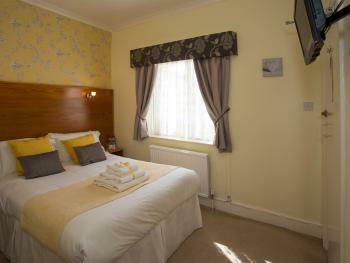 Rooms are provided with tv/dvd/cd combi freeview tv, hairdryer, radio alarm, luggage rack and hospitality tray. 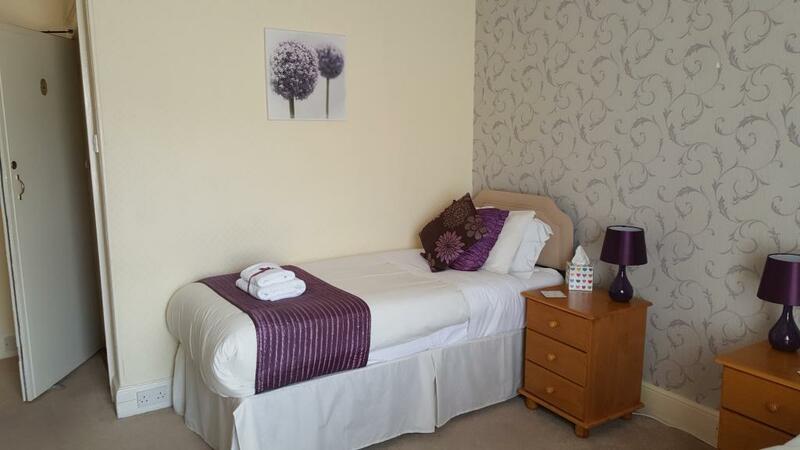 Luxury toiletries, tissues, cotton wool, buds, pads and soft white towels are provided for guest use. 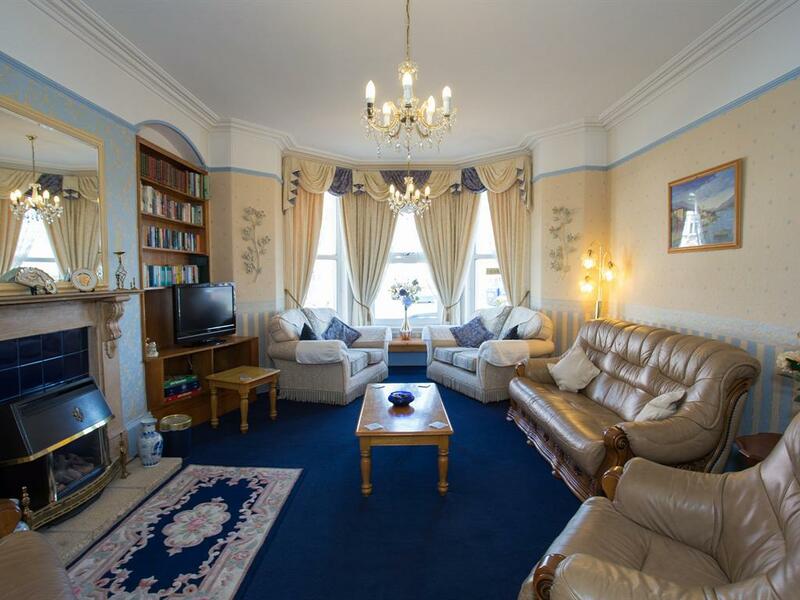 This double ensuite is tastefully decorated and has an inland view and is located on the top floor. It has a comfortable double bed, chair, tv /dvd/cd, hairdryer, radio alarm, luggage rack and well stocked hospitality tray,tissues, cotton wool, buds, pads plus little extras to enhance your stay. 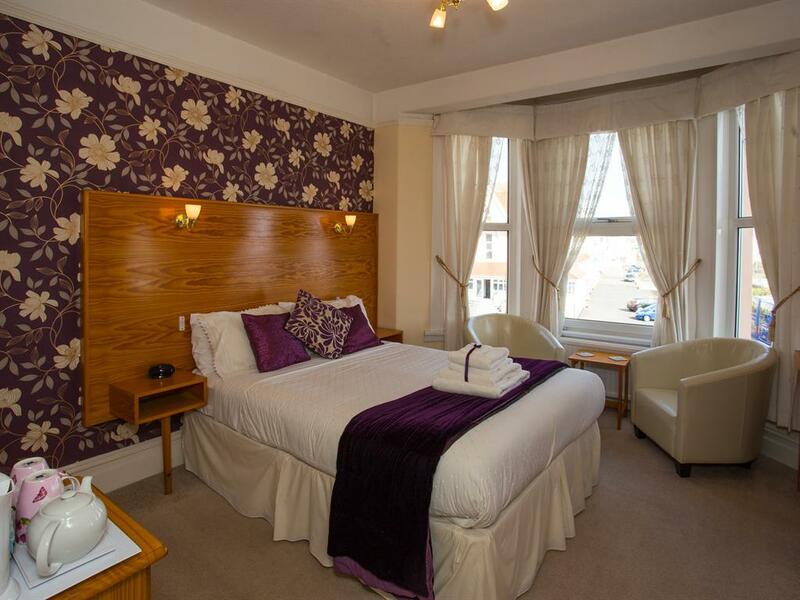 (room size 19ft x 9ft)The ensuite have recently been refurbished and finished to a high standard with the walls being tiled from floor to ceiling with heated towel rail, large soft white towels and luxury Duck Island toiletries. (Ensuite size 6ft x 5ft) Children not allowed in this room. 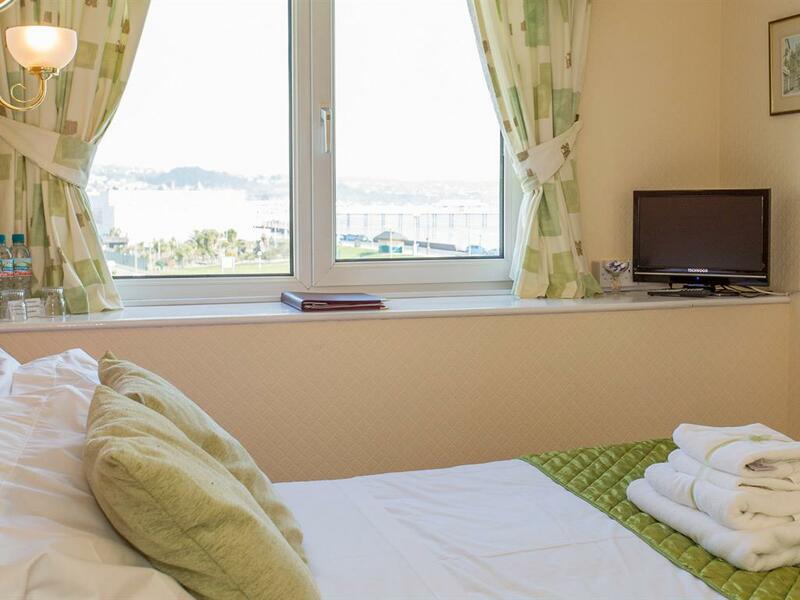 This large seaview double ensuites has spectacular views across the bay from its 2 windows and is located on the top floor. 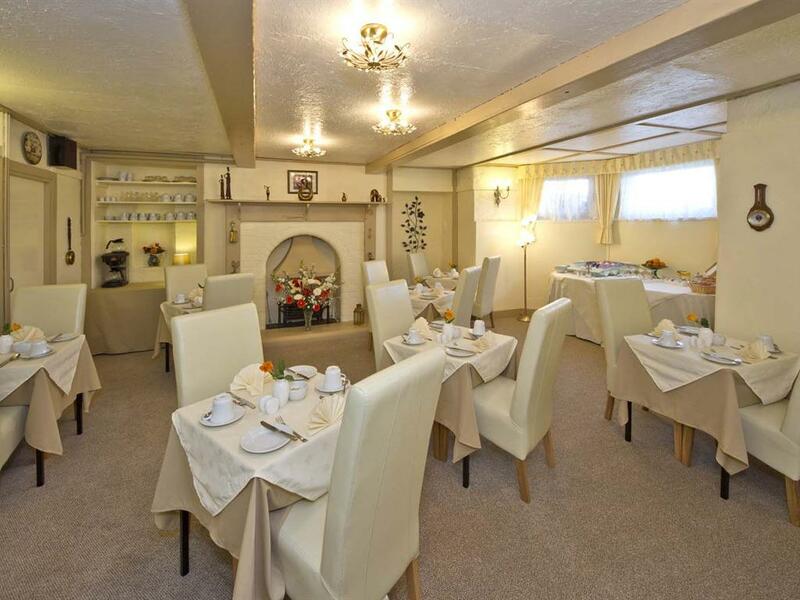 The room has just been tastefully re-decorated and has a comfortable double beds, chairs, new flatscreen tv/dvd, radio alarm, hairdryer, well stocked hospitality tray, and luggage rack. 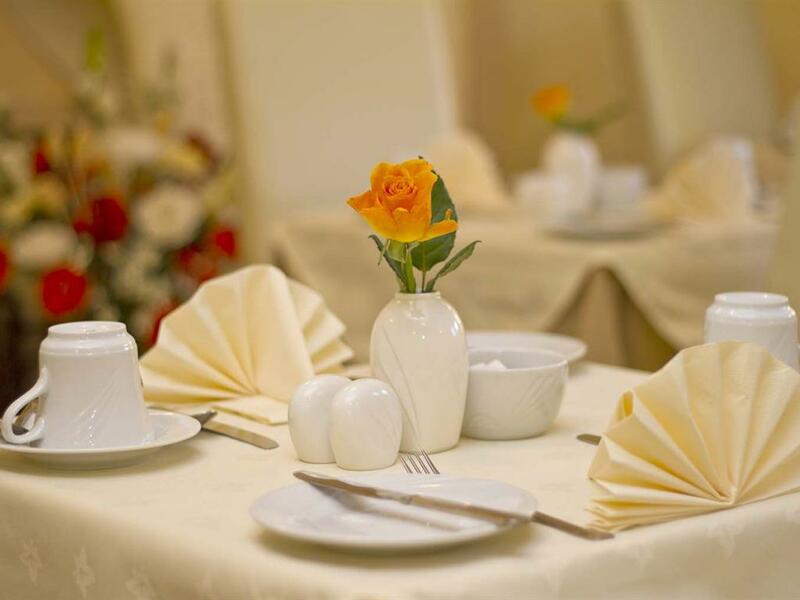 Tissues, cotton wool, pads, buds plus little extras are provided to enhance your stay. 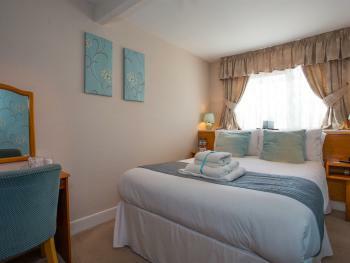 (Room size 16ft x 9ft) The ensuite is very small in this room but is well equipped with heated towel rail, first aid kit,large soft white towels and luxury Duck Island toiletries. (Size 5ft x 4ft with shower set back off this) Children not allowed in this room. 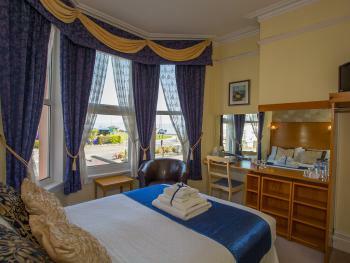 Our small cosy seaview double is on the second floor and has spectacular views across the bay. 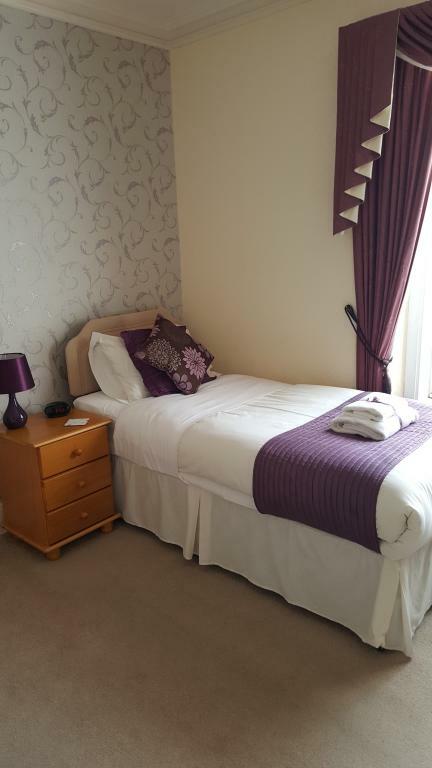 The room is equipped with new flatscreen tv/dvd with freeview, hairdryer, radio alarm, luggage rack,large towels, luxury toiletries, cotton wool, buds, pads, first aid kit, tissues and a well stocked hospitality tray for guest use. 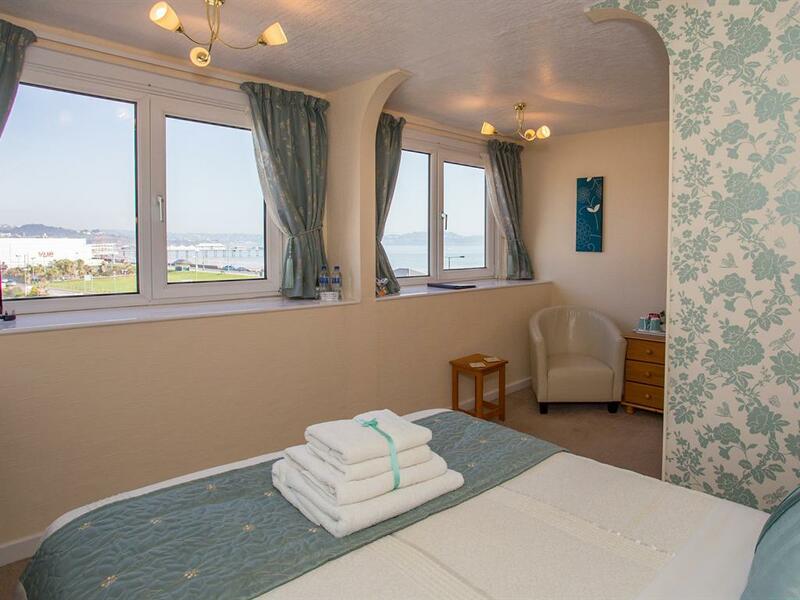 All our seaview double ensuites are on the second floor, giving spectacular views across the bay. 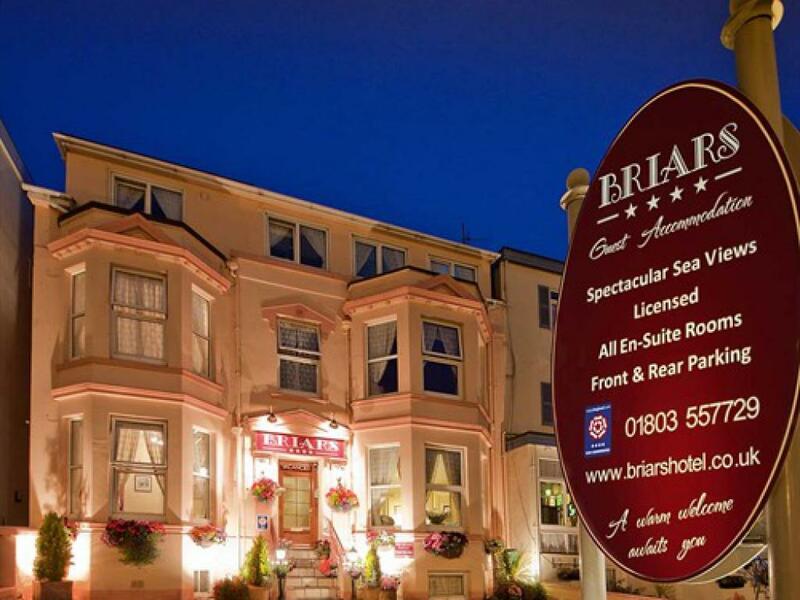 The rooms are tastefully decorated and have comfortable double beds, tv/dvd/cd combi freeview tv, radio alarm, hairdryer, hospitality tray, and luggage rack. Luxury toiletries, tissues, cotton wool, pads, buds and soft white towels are provided for guest use. 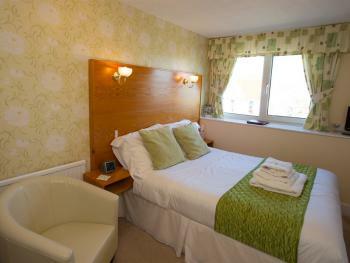 The large double ensuites bedrooms have a sunny aspect overlooking the back garden and colourful patio. 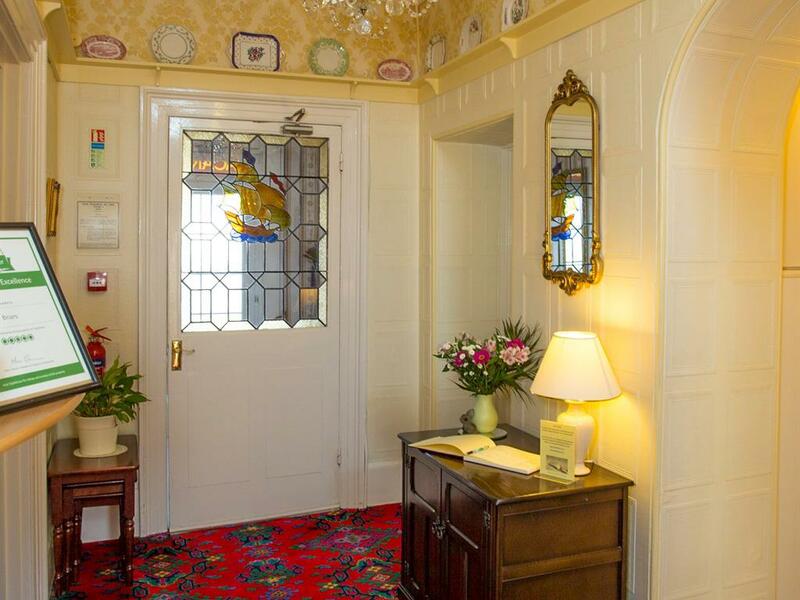 They have newly refurbished ensuites and are tiled from floor to ceiling. 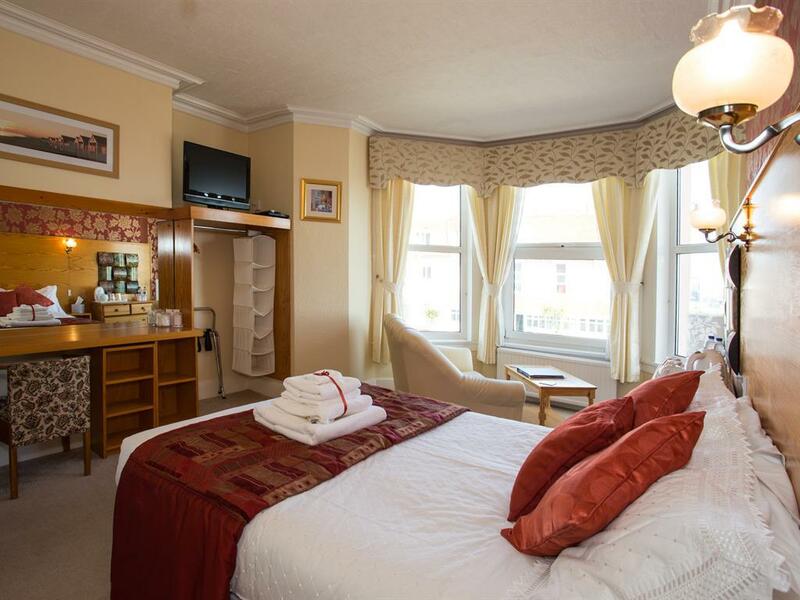 The rooms are tastefully decorated and have a comfortable double bed, tv/dvd/cd freeview tv, hairdryer, radio alarm, luggage rack and hospitality tray. Luxury toiletries, tissues, cotton wool, buds, pads and soft white towels are provided for guest use. 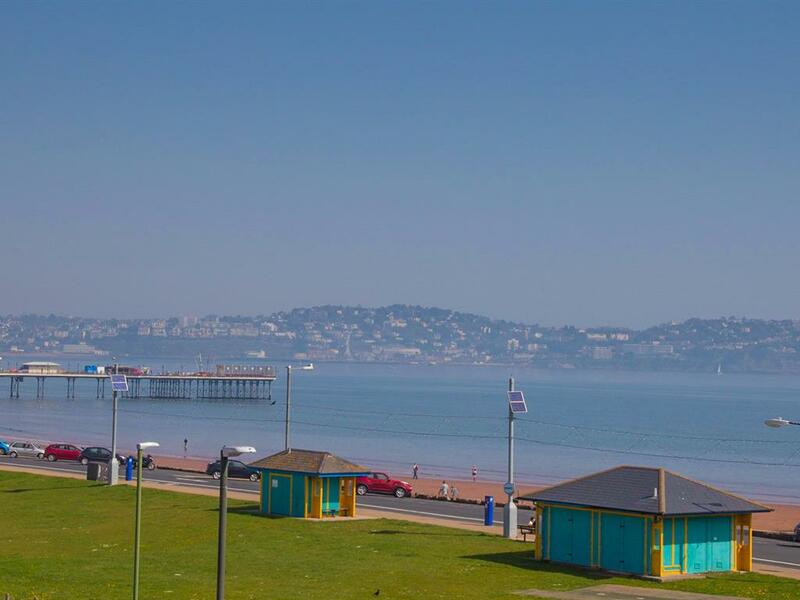 Located in an enviable seafront position The Briars has spectacular views overlooking Paignton Green, beach and pier with the harbour just yards away. 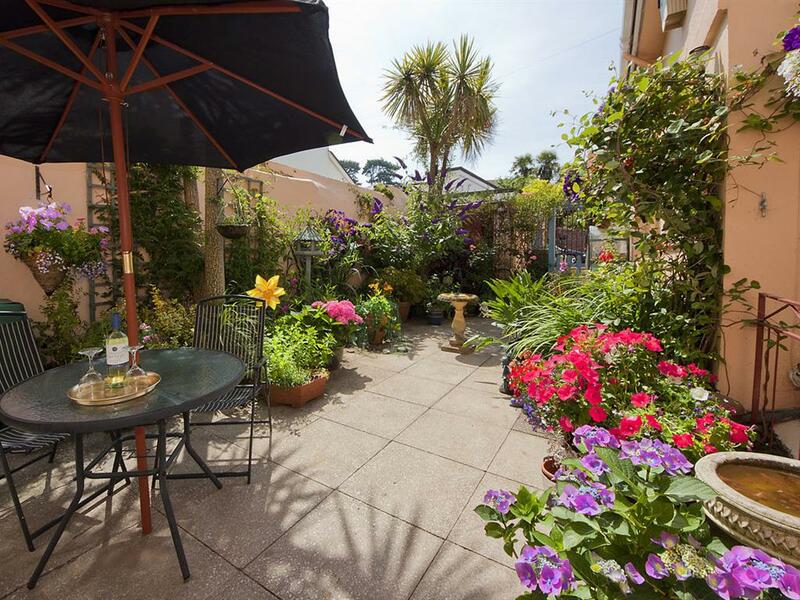 The shops, town centre, Paignton Railway and Bus Stations, restaurants and entertainment being just a few minutes level walk. 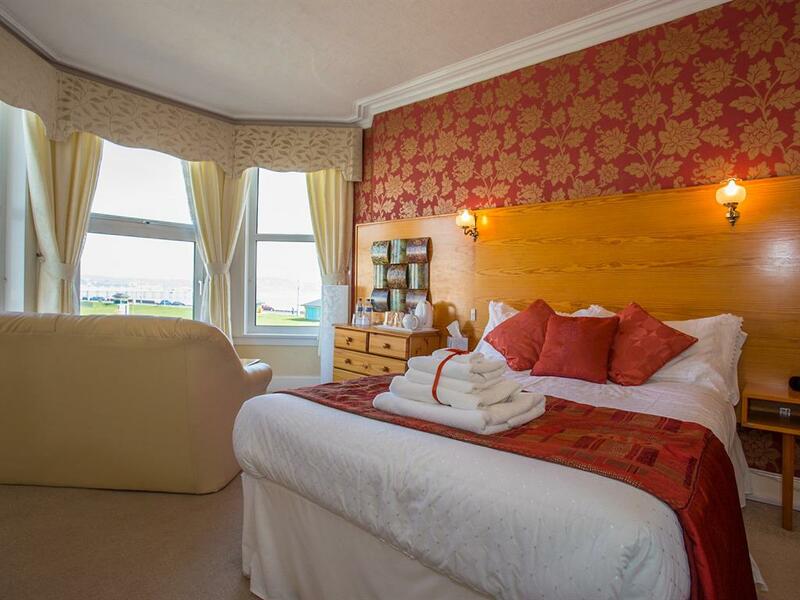 We have twelve tastefully decorated en-suite comfortable bedrooms, seven of which have glorious sea views arranged over 3 floors. All rooms are equipped with freeview tv/dvd, hairdryer, alarm clock, luxury toiletries, towels and hospitality tray. 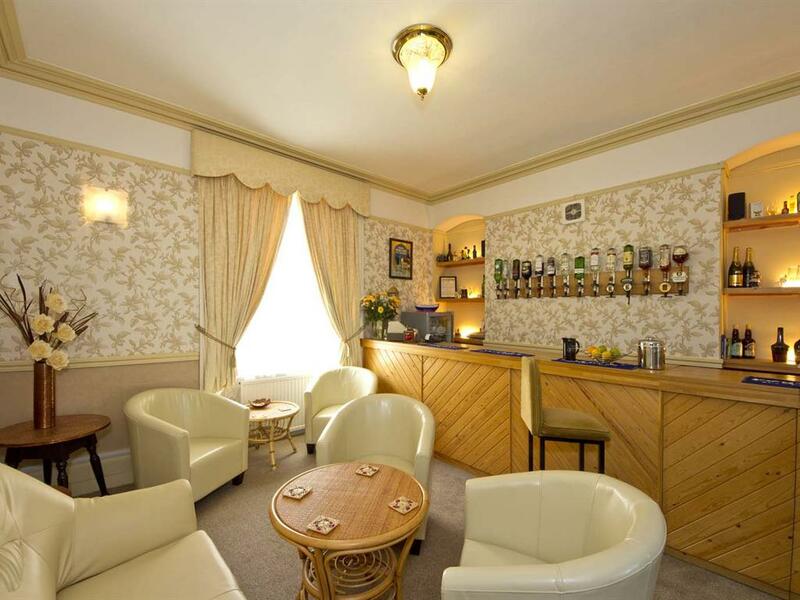 We have a fully licensed bar, comfortable lounge overlooking the bay, cosy lower ground floor dinning room, sun patio and free private car parks to the front and rear for our guests use. Free wi-fi is available throughout. 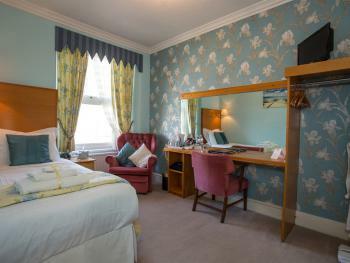 We offer Bed & Breakfast only and cater for long and short stays for business or pleasure. Children are only allowed if booked by telephone not online. We do not however take all male or all female groups e.g. hen or stag parties etc. 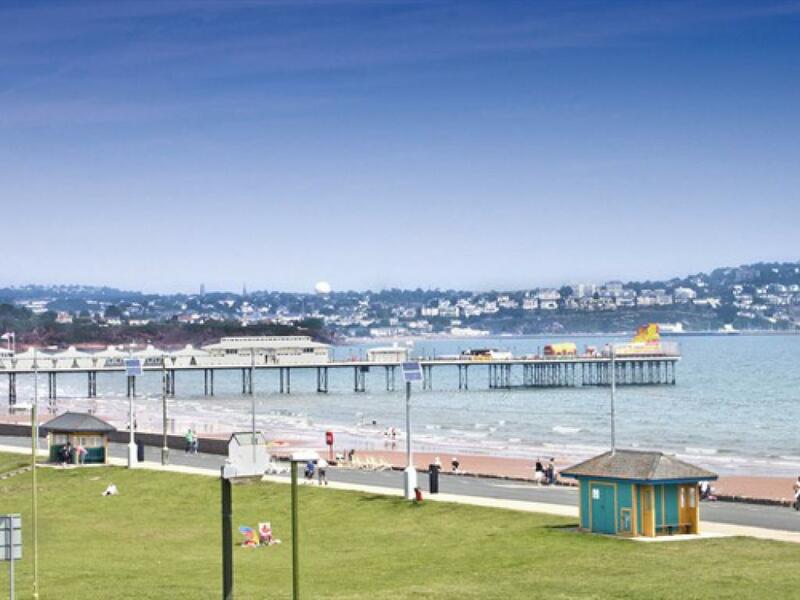 Paignton is situated in the English Rivera on the south coast between Torquay and Brixham. The Briars is ideally situated overlooking Paignton Green, beach and pier with the harbour just a few yards away. The shops, town centre, Paignton Railway and Bus Stations (from where you can travel along the coast or surrounding areas), restaurants and entertainment are just a few minutes level walk away. A fifteen minute stroll around Roundham head with its fabulous views will bring you into Goodrington with its fine beaches and family attractions including Quaywest Waterpark. Take the Steam Train from Paignton to Dartmouth which runs along the coast, and visit Dartmouth Castle, musuem and Dart Estuary or catch the bus to Cockington, the beautiful thatched village and old manor house which is now a craft centre. The stunning landscape of Dartmoor is within easy reach and worth a visti. 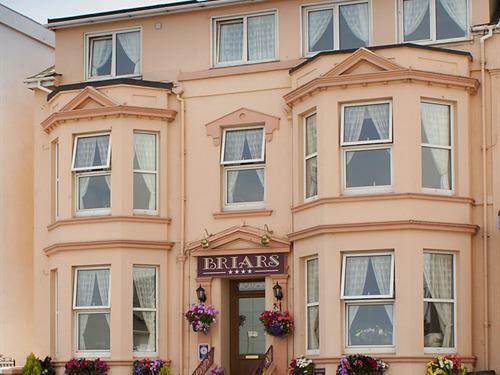 The Briars is unsuitable for those with limited mobility due to steps at front and rear of our property. For further information please refer to our Access Statement on our web site. 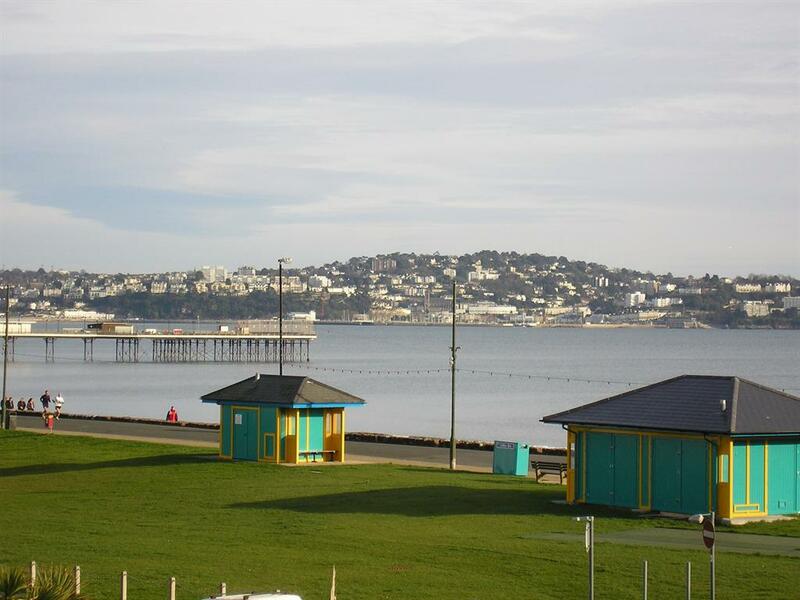 Travel south towards Paignton and follow signs for the seafront. Travel along Esplanade Road until you come to a mini roundabout. Take third exit and the Briars is immediately on your left. Turn right as you come out of station and take 1st right over the level crossing follow this road until the juction with Esplanade Road in front of the Appollo Cinema. Turn right follow this until you come to the mini roundabout and you will see The Briars slightly to your right in front of you.